How can we truly measure the ROI of a location? How long do visitors spend at a particular location? What percentage of visitors are exposed to your brand? How effective was your stand at converting passing traffic to engaged visitors? We provide a Monitoring Solution which can evaluate the footfall of visitors to a location/stand, including their average dwell time, peak dwell times and conversion rates. 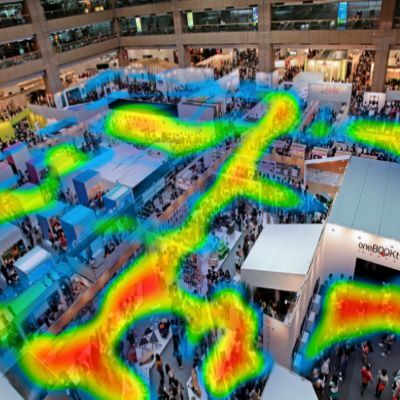 Positioning devices across the floor plate will aid event organisers to look at the overall effectiveness of the event layout and improve ROI of a stand or zone efficacy. The network of sensors will aid understanding of consumer behaviour around an entire area or fan zone.